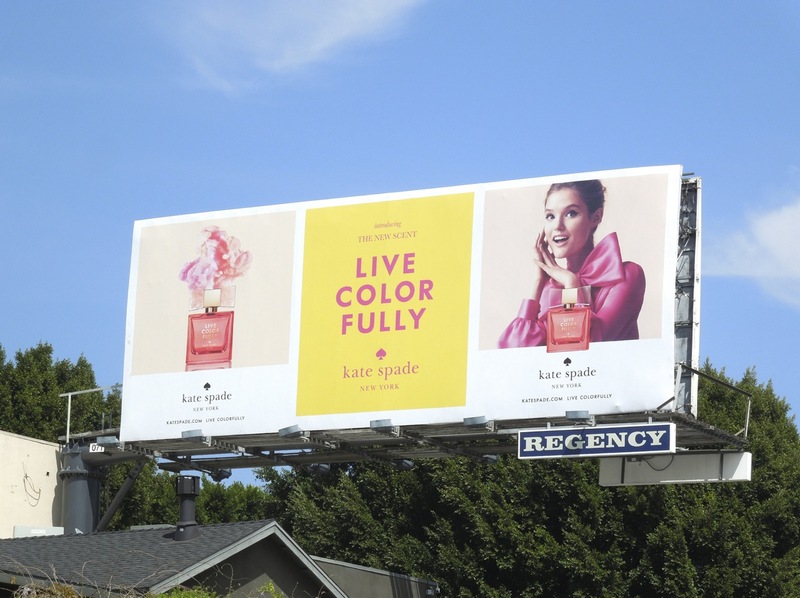 These vibrant billboards certainly help convince you that Kate Spade's new scent will put a spring in your step for Summer and help you live life more colourfully. 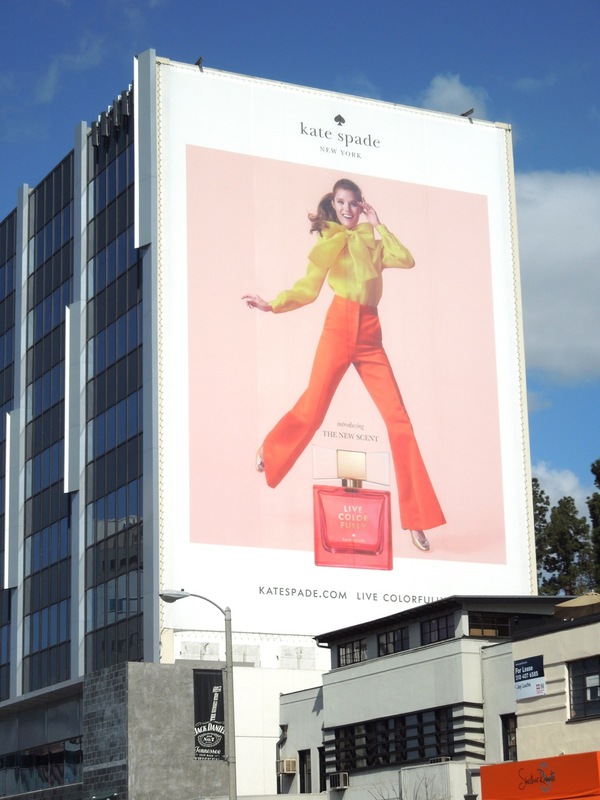 Fresh-faced Katie Fogarty looks high on life in these creatives and her big bow blouses replicates the bow bottle stopper which is the finishing touch to this fragrance of mandarin, water lily, musk and tahitian vanilla. 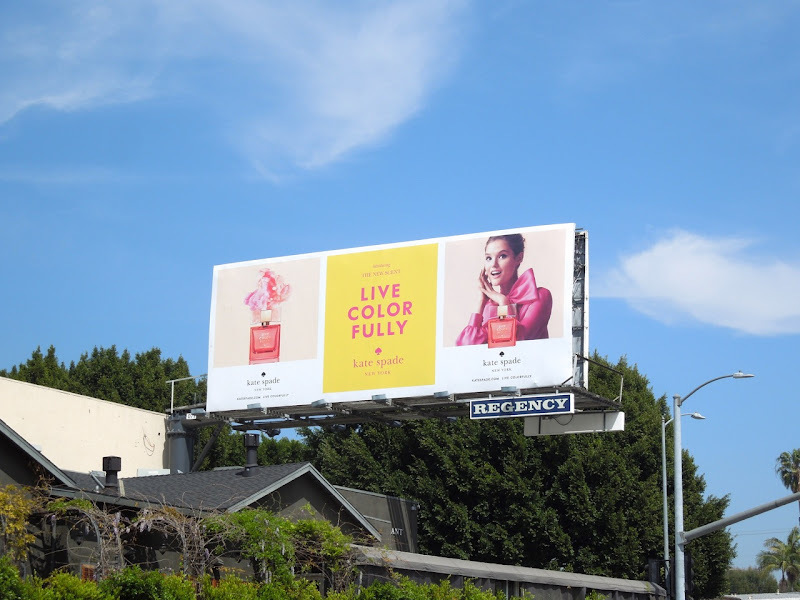 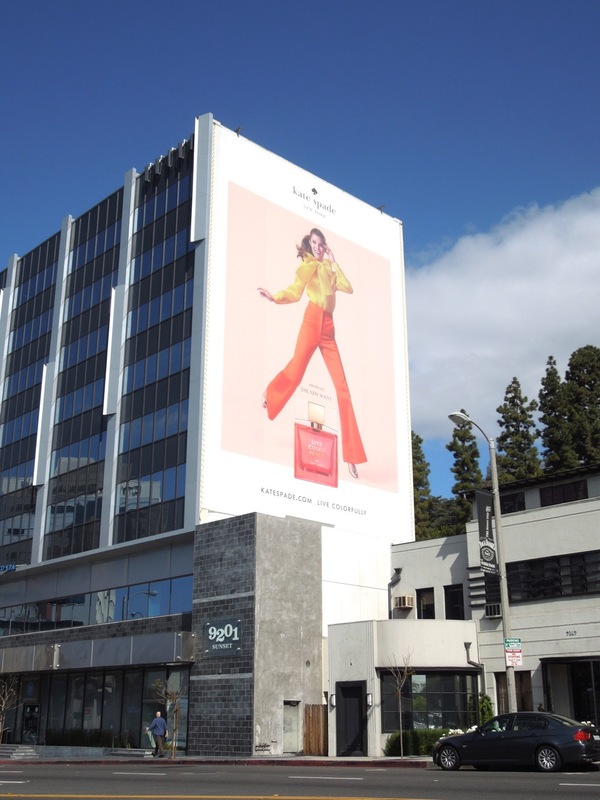 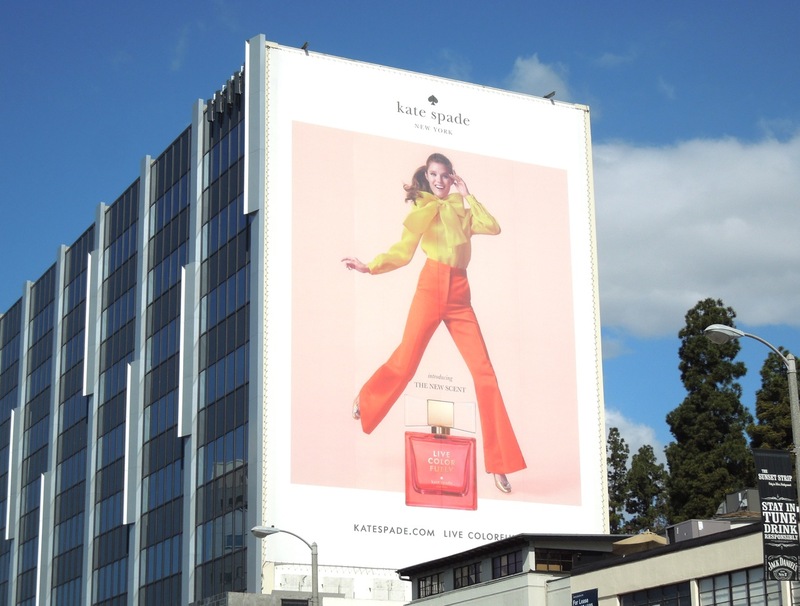 This super-sized Live Colorfully perfume billboard was spied along L.A.'s Sunset Strip on April 8, whilst the standard landscape version was snapped further east along Sunset Boulevard on March 28, 2013. 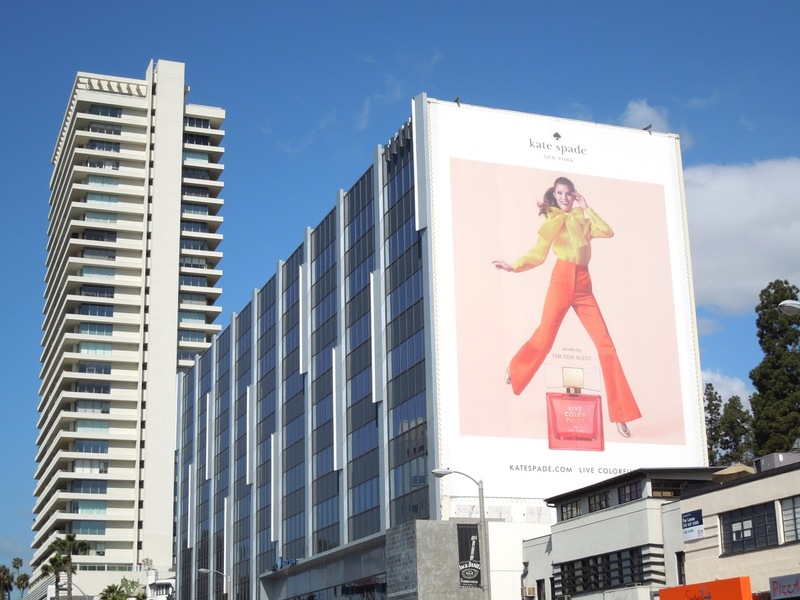 If you're a fan of the fashion brand, be sure to also check out these giant Kate Spade fashion billboards featuring Bryce Dallas Howard.